Santa Clarita Bail Bonds | Station, Court & Public Defender Info. Perhaps you have found us today because someone you care for has been arrested in Santa Clarita Valley. We’ll give as much time needed to explain the Santa Clarita bail bonds process over the phone, meet with you in person, or meet with you directly at the jail to procure the defendant’s fastest release. 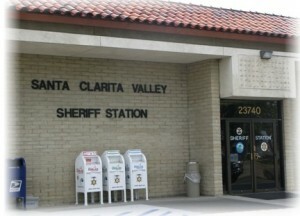 When someone is arrested and taken into custody anywhere in the Santa Clarita area they will likely be transported to the Santa Clarita Valley Sheriff station for booking and processing. The booking process can take from 2 to 4 hours to complete and generally consists of taking the defendant’s fingerprints, photographs, (mug shots) and entering their information into the County jail system. The arrestee cannot be bailed out or visited during this time, but we can start the process by taking care of the bail application paperwork with you for a much faster release time. A local Santa Clarita community bondsman is available for you 24 hours a day. Best of all, we can come to you within minutes! We’ll personally work with you from arrest to release. Just call us locally anytime day or night at 661-299-BAIL (2245) or toll-free 877-422-4591. 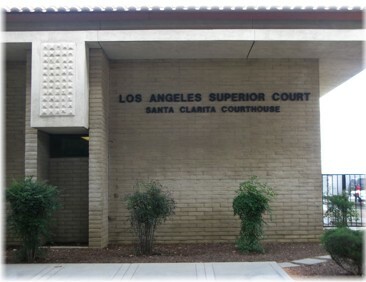 Santa Clarita Sheriff Station Jail, Court, Public Defender & District Attorney Info. The Santa Clarita Station is responsible for providing Law Enforcement services to all of the City of Santa Clarita, as well as 600 square miles of unincorporated County communities of Stevenson Ranch, Castaic and Gorman. The station is open 24 hours a day. Santa Clarita is one of the safest cities in which to live, mishaps can still happen. That’s why we are right here for you at a time when you may need us the most. We’re active members of the community who live, work, play and support our neighborhoods and the communities of Santa Clarita. When you call to speak with one of our licensed bondsman, they will likely ask a few quick questions to begin the bail bond process. Questions such as credit history, home-ownership, employment and citizenship status will be discussed. We do this in order to assess the risk in underwriting the bond. When this process is complete, we”ll quickly deliver the easy paperwork in person, by fax or email. Then, we’ll work diligently with you to have your friend, family member or loved one released from the Santa Clarita jail as quickly as possible. When the defendant has been booked, processed and updated, they will be ready for bail. A licensed bail agent will post the bail bond with the Santa Clarita jail and the defendant will be released. It’s important to know that if the defendant is not bailed out of jail, they will likely remain in custody at the Sheriff’s Department jail until their first arraignment. If they are not released from court, they will be transported to IRC at the Twin Towers Correctional Facility, in downtown Los Angeles if they are men. Women will be transferred to Lynwood/CRDF in Lynwood. Release times from these facilities can take as much as 24 hours. We always recommend having your loved one released from the smaller, Santa Clarita jail before they are transferred. Our licensed agents can post a bond at this smaller jail 24 hours a day. Once the bond is posted it can take from 30 minutes to an hour for the defendant to be released. Read more about the benefits of bailing someone out of the Santa Clarita Jail. For payment, we accept cash, VISA, MasterCard, Discover and American Express. We also take your personal and business checks (subject to prior verification.) A credit card by the way, is the fastest most convenient way of obtaining a bail bond. Just give us a call or read more about the bail process on our Bail FAQ’s page. If you have further bail bond questions about someone arrested and jailed in Santa Clarita, give us a call as we are always available to assist you. Our local number is 661-299-2245 (BAIL). With our company, you’re not likely to see any flashing neon bail bond signs. We’re discreet and subtle and know our clients want the same respect. Read more about how to find the most professional bail bondsman in Santa Clarita. Call us if you have any questions in Santa Clarita at 661-299-2245, we’re ready to help.